There are many different formats of negatives that have been used over the years. One that I recently ran across to scan was Kodak PMC 6059. Kodak PMC 6059 negatives are unusual for the Epson Photo 4490 because of the size. Kodak PMC 6059 is considered 120 medium format which contains a range of frame sizes; 6×4.5cm, 6x6cm, 6x7cm, 6x8cm, and 6x9cm. The most common being the 6x6cm size. This actually has a frame size of 56mm x 56mm. The frame number is printed at the top or bottom and this format is 60mm wide. The supplied Epson scan software considers it a medium format film and uses the medium format adapter. Luckily the adapter is one of the two that come with the scanner. 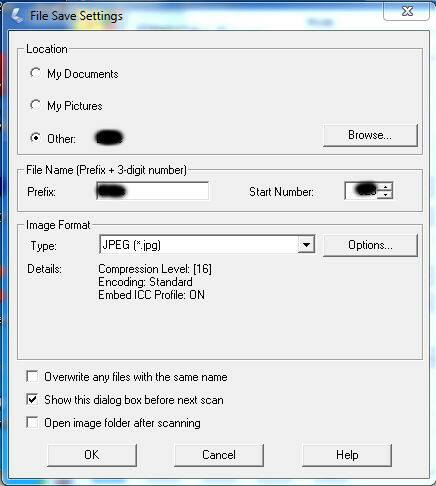 In this document we will describe how to scan using Epson Scan. Note: This will also work with Epson V500, V550 and V600 scanners. Using the medium film adapter, place the negative shiny face down and close the lid. Note: the Kodak PMC6059 wording will be backwards. The adapter will hold two negatives if they have been cut. Epson Scan has three modes available for scanning, Full Auto Mode, Home Mode and Professional Mode. You can use Home Mode for scanning medium format film but Professional Mode achieves better results. 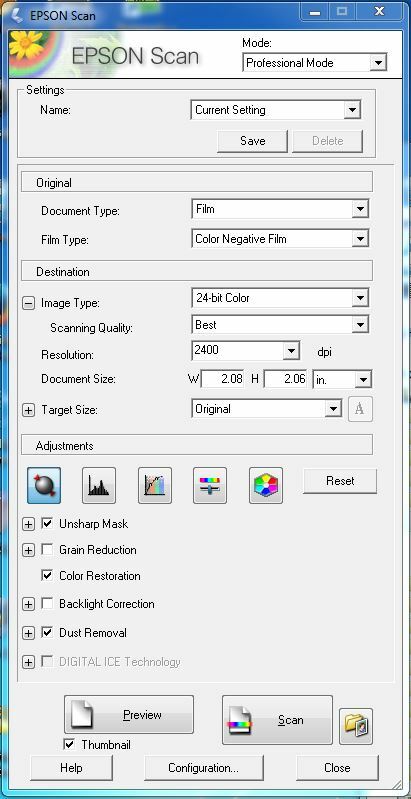 Open Epson Scan and select Professional Mode from the Mode drop down box. Now set the following settings. Note: With these settings and Digital ICE enabled the scans will take a longtime to complete, but the results are worth it. There is also the possibility that some detail can be lost when using Digital ICE. 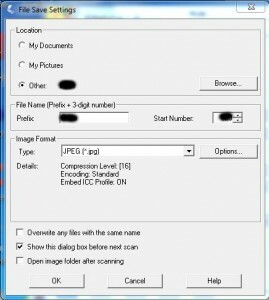 Run the Preview scan. 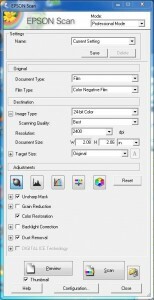 Once the scan is complete you will need to select each negative and click on the check boxes for color restoration, dust removal and Digital ICE, as they are cleared each time you run the preview scan. 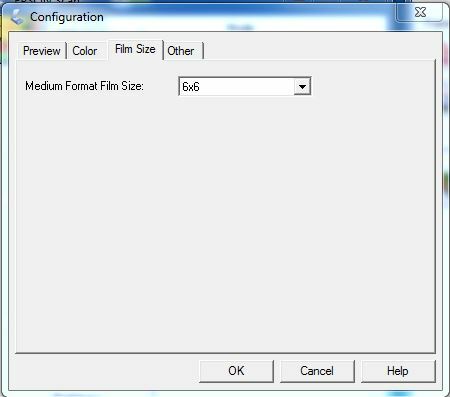 Once you are happy with the selections click on the Scan button to bring up the scan dialogue. You should now have perfect scan of the Kodak PMC 6059 film and ready for any further edits in GIMP.